On the stroke of Christmas Day (literally, as midnight arrived to close Christmas Eve), this video was uploaded to YouTube. It’s had a great reception already; tallying up to more than 850 views already, which is great by my own standards. But I’d like to bring it to you attention today, as many people have will have been busy over the Christmas period. This is mainly for those who haven’t already seen it. It took about 90 minutes to upload for a 13 minute video. It’s a standard time for my work (in HD quality, 720p) but it always seems excessive. I’ve noticed other woodworkers and YouTubers who are seemingly able to upload videos in a matter of minutes… I guess it’s down to the power of your computer and its processors. I’ve recently got myself re-established with broadband and the speeds are pretty good. If I come to do this more frequently, I would have to look at upgrading my laptop then. So, I made two of these boxes, as I’ve developed a knack for making two of everything this past year. One went to a friend for their birthday in August; the other remains ‘on display’ in my home, alongside the spare yin-and-yang box – which will also appear in video format sometime in 2014! Thanks for reading and for watching. As always, I welcome all feedback. 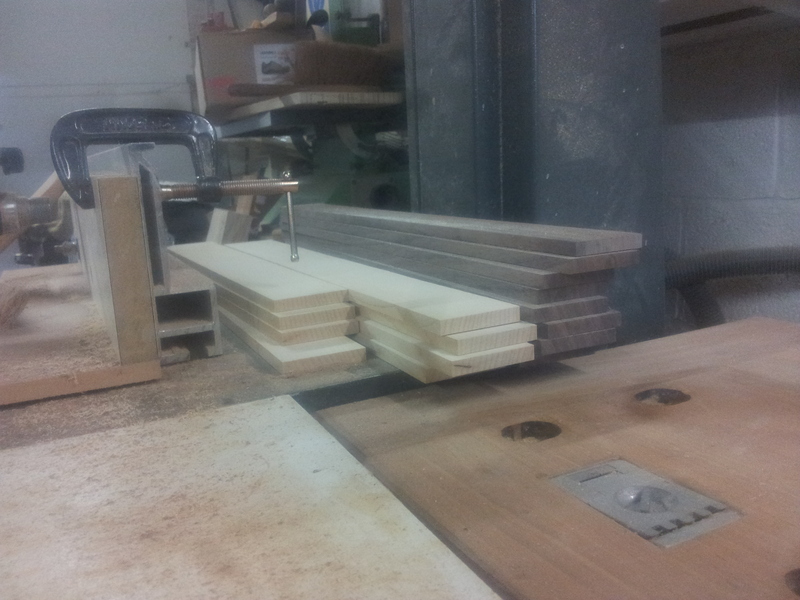 On Saturday, I began machining strips of walnut and maple to make a pair of chess boards. I was asked about making these a few months ago by someone with a preference for true ebony over walnut but, with winter soon to fall, I’ve decided to press on and attempt to get these done by November(! ).